The monument commemorates explorer John Oxley. 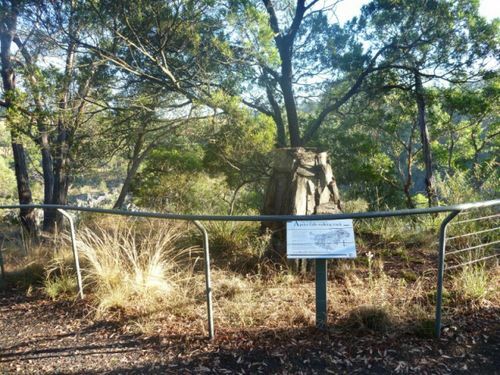 Apart from Aboriginal significance of the area as a meeting place, John Oxley passed by the falls on 13 September 1818 and he named them the Bathurst Falls. He described it as “one of the most magnificent waterfalls we have seen”. 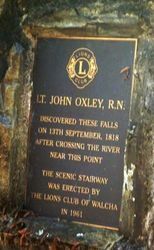 Discovered these falls on 13th September, 1818 after crossing the river near this point.